part in our singles tours! Marriage in Odessa is something you will be dumbfounded of. What instantly makes Ukraine wedding unique is that they never say “celebrate wedding” but rather “play wedding”. You can immediately recognize Ukrainian wedding because of this. In a wedding table, the main decoration is always a loaf of bread which must be baked on Thursday or Friday only. Also, the bread and towels play an important role in their wedding culture. On the first night of the newly-wedded couple, they should be given with such things right after the ceremony. Hours before the ceremony, a tradition called “Buyout a Bride” is to be done. In the bride’s residence, the groom and his groomsmen are expected to be there early in the morning. The groom will try to buy out his beloved bride with the help of his groomsmen. The mothers of the pre-wedded couple will hide big coins under the four corners of the towel before it is being stepped on by the couple. It means that the couple will get to experience life without misery throughout their marriage life. When the wedding play ends, the bride must kick the towel with her foot out of the church--it must be OUT of the church. he taking off of the bride’s veil is a sign of just becoming a wife. By the end of the play, the bride’s mother-in-law must take her veil off and cover her head with handkerchief instead. It simply means the woman has just become a wife herself. Unlike Asian’s wedding tradition where the bride’s father used to walk her toward her future husband waiting at the front of the altar, Odessa couple go to church together while holding each other’s hand. Those are just few of the wedding traditions in Odessa, Ukraine. If your intention on pursuing an Odessa bride is real, then take into account those wedding rituals. For easiest way possible, register now for free and check out Odessa women for marriage to meet your match. Family ties. Almost all women alive believe that the main purpose of their womanhood is to be a wife, give birth to children and commit herself to her very own family. Women in Odessa, Ukraine grew up with the thought that maintaining one’s career is essential. However, as they intensely value family, they are more than ready to give up whatever they have and do for living if it puts their family’s sake at risk. For them, nothing else is more important than family. Domestic chores. Odessa women are among the excellent home buddies from all over the world. They are capable of doing domestic chores--- from fixing their bed to cooking and cleaning the entire house. You won’t have problems leaving them at home alone because they can do such things. These ladies know how to keep the house into a livable and cozy atmosphere. Sincerity. With integrity, they are able to commit themselves with full sincerity to their spouses for a lifetime--- if only they can get the same thing in return. Nobody would stay long to someone who is dishonest. 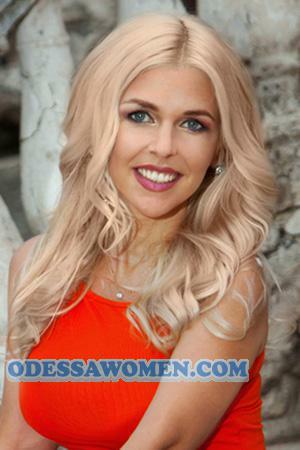 An Odessa woman is straightforward and expects you to be the same. She wants to be treated right and so, you must. In exchange, you’ll embrace a lifetime commitment with her. Unconditional love. These women are selfless when it comes to the man they love and value. One can do everything for her partner; her love is unending and unconditional. For them, loyalty means sticking to your partner even in the very depth of the ocean; that’s how they envision love at a greater extent. Their unwavering faithfulness is what you should expect when you get to marry one. Parenthood. Since most women in Ukraine are well-taken care of by warm-hearted parents along with other family members, it brings a great impact in their views of dating and marriage itself. These women are very excellent at taking care of their children; with their own parenting styles, they make good mothers. What more could you ask for? Get yourself an Odessa wife because she is worth every ounce of your effort. Odessa women are one of the most sought-after brides in the world. Marrying one could be one of the best choices you will ever make in your entire life. You won’t regret browsing our site for here, you can find the future bride you’ve been looking for a long time. You shouldn’t miss this chance. Get in touch with us at the best Odessa matchmakers and join our Odessa singles tours to meet the love of your life in an instant!